HOME » ENDO DIRECT NIEUWS » The Future of Endodontics is 100% Desinfection! 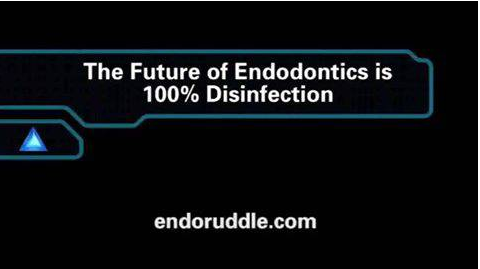 The Future of Endodontics is 100% Desinfection! ,,In the 40+ years that I have practiced and taught clinical endodontics, I have observed an awakening with the advent of the dental operating microscope, ultrasonically-driven instrumentation, NiTi files, and MTA. Recently, the renaissance has continued with the emergence of CBCT, 3D disinfection methods and the promise of regenerative endodontics. Today, Photon-Induced Photoacoustic Streaming (PIPS) represents a leading advancement in laser-activated irrigation and disinfection. Any dentist who is committed to exquisitely cleaning root canal systems will definitely appreciate PIPS. This technology will not only send photoacoustic shockwaves through both minimally and fully prepared canals, but will also propagate shockwaves through our profession by promoting predictably successful results."